Closeouts. Dickies’ Hi-Vis foam-latex-coated gloves offer high elasticity and excellent grip for those intricate tasks that require high dexterity. 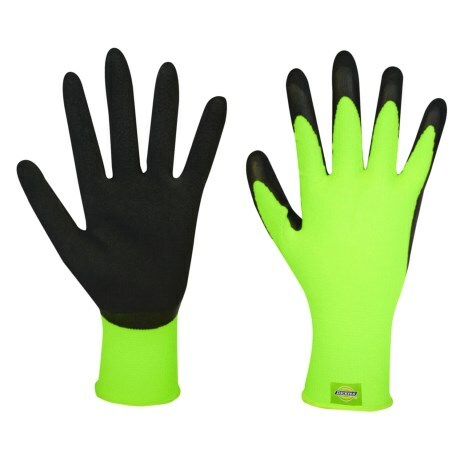 These gloves are made from lightweight polyester fabric that comes in high-visibility colors for added safety protection.